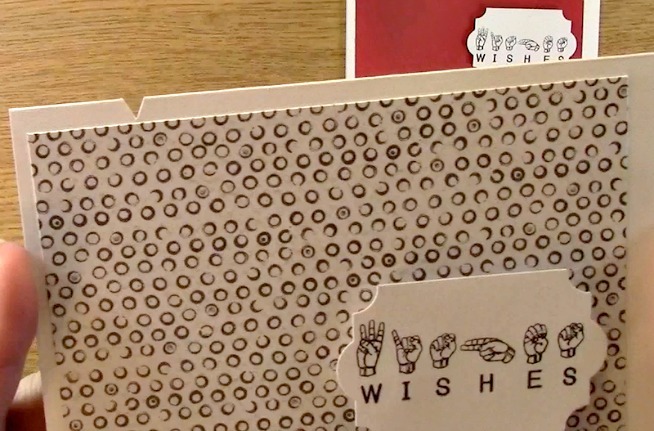 Sign Language Birthday Cards are what we have for you today. 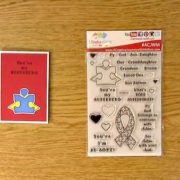 I love to create and I love our Sign Language stamp sets. 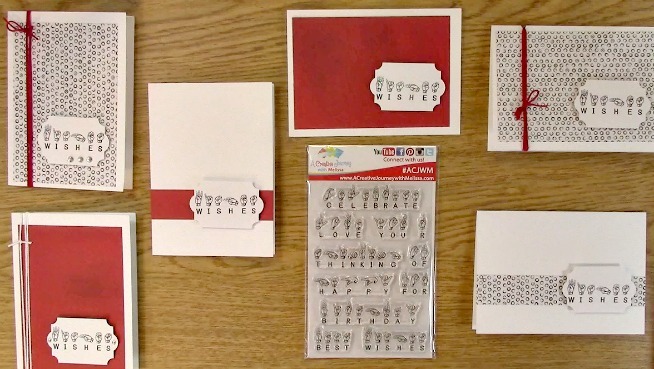 You can never have enough birthday cards and what better way to build up your stash by using A Creative Journey with Melissa Sign Language Sentiments stamp set? As you know, I like clean, simple and FAST… Here we go! Place your sentiment on your acrylic block. 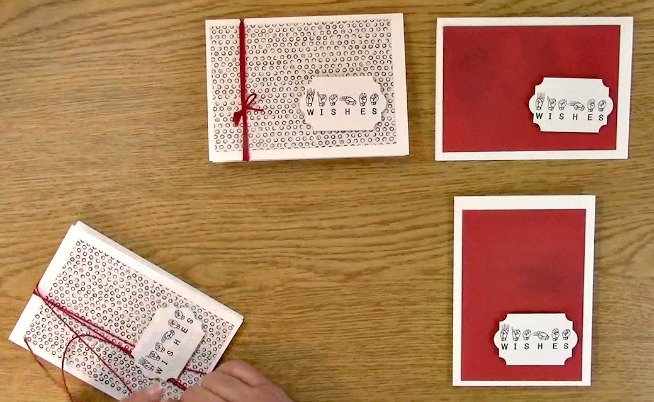 Ink your sentiment and stamp on your paper. Using the punch facing you, insert your sentiment ensuring your sentiment is lined up in the punch as shown. 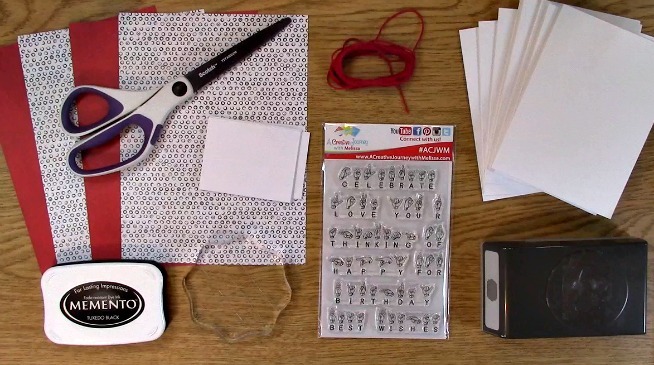 Want to use your scraps but they aren’t long enough for your punch? 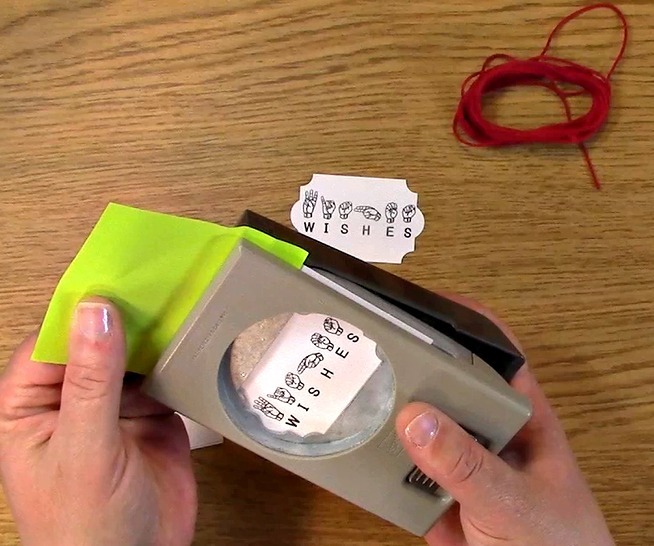 Use a post it note. 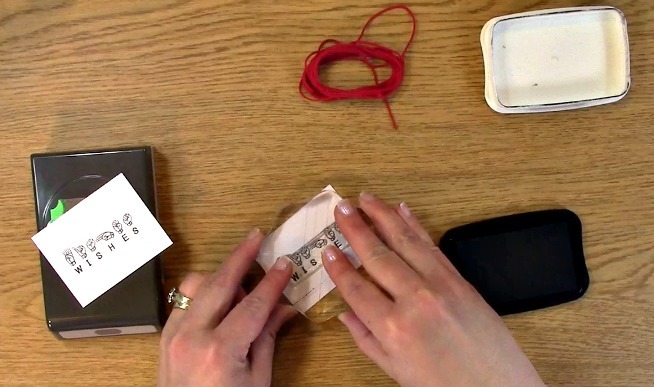 It extends your ability to put it in your punch and you can use smaller pieces of paper! I used two pieces of paper that were in a 6 x 8″ pad that I knew I wouldn’t use. The paper is double sided and one side was perfect for cards so here we are! I trimmed the paper to be a little smaller than my card bases and trimmed them 1/2 inch smaller. 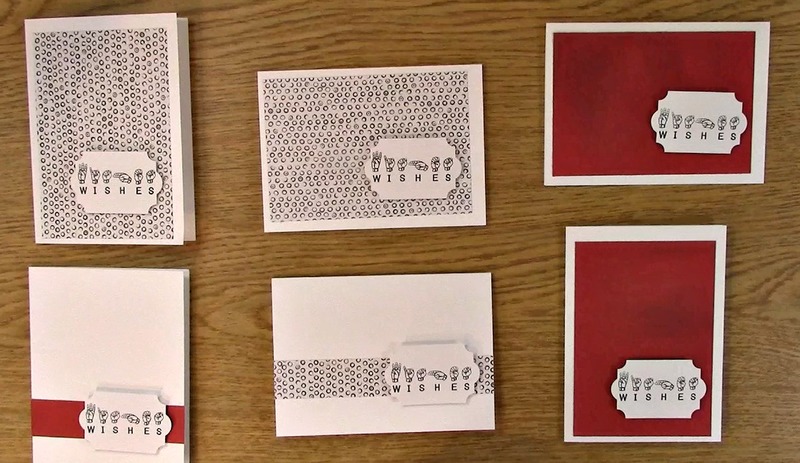 Depending on what size your card, it will depend on what size you want your decorative paper. For my I used 4 x 5.5″ card bases. My paper was trimmed 3.5″ x 5″. 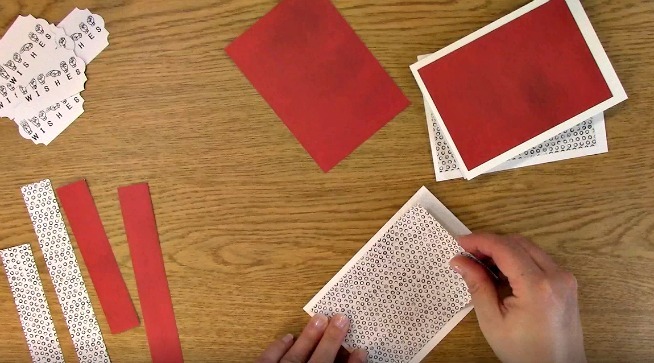 This left me with a few pieces that I can use in a different way on my cards. Simple, elegant and cute! 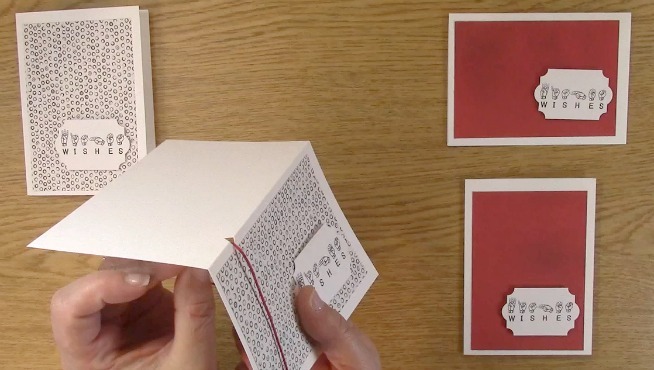 Apply adhesive to the back of the decorative paper and adhere to the card base as you wish. 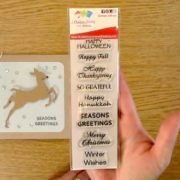 Add your 3-D foam adhesive to the back of your sentiment. Be sure to remove the protective backing. 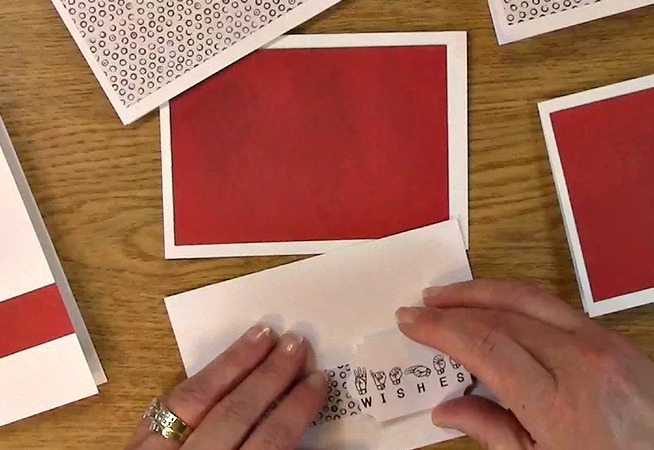 Apply your sentiments to your card bases for your Sign Language Birthday Cards Project. 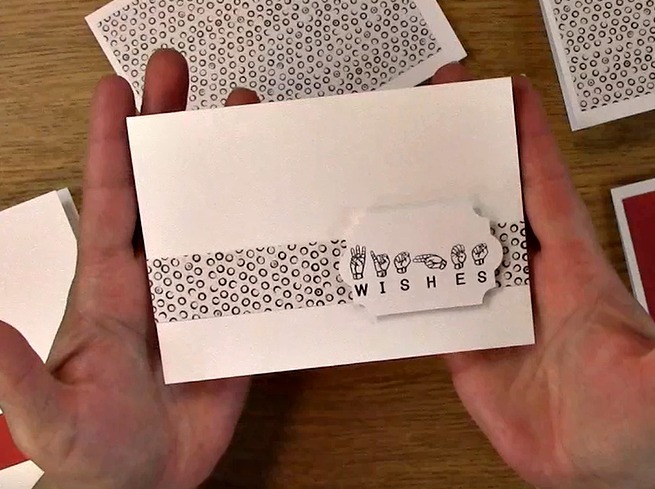 For the basic version of the Sign Language Birthday Cards Project, you are finished! Nothing fancy, no frills or embellishments. I wanted to give you a few other easy options. 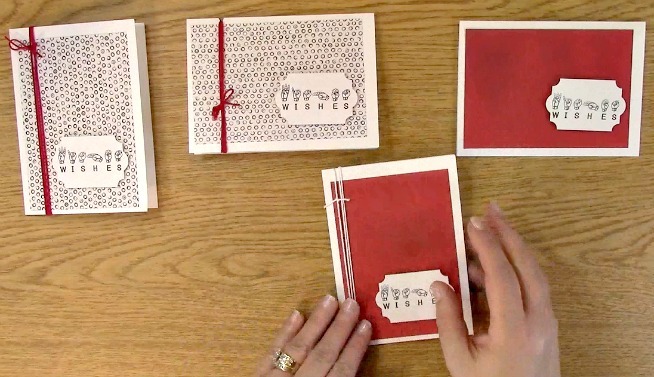 These aren’t super fancy but add a little pop to your Sign Language Birthday Cards Project. Ready? 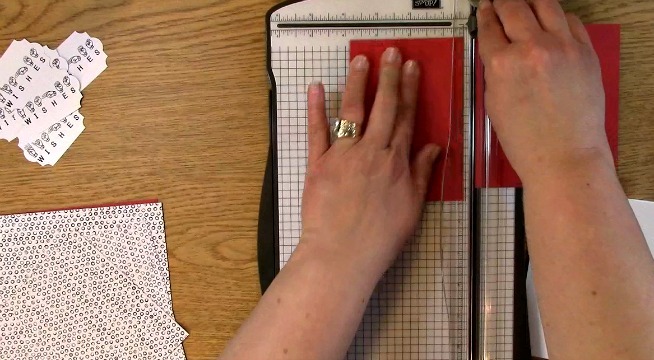 Using your scissors, cut out a small triangle notch out of the top of your card like shown above. 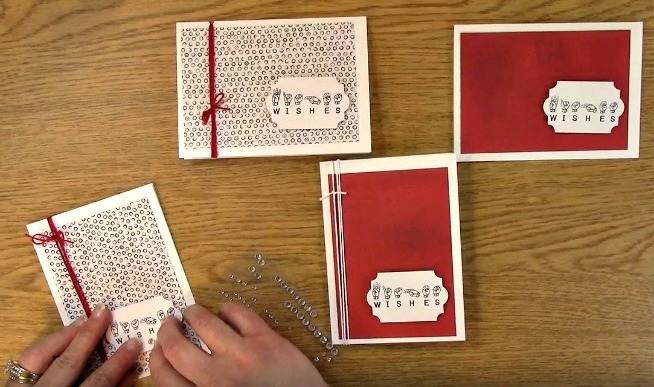 Using some of your coordinating twine for your Sign Language Birthday Cards Project, push it through the inside of your card 3 times. 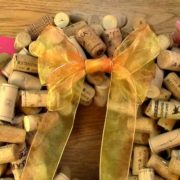 Once you have wrapped it three times, tie a bow or a knot and trim off the excess twine. 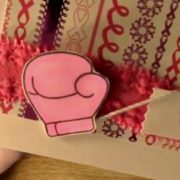 For this card, I simply wrapped twine around the left side of it to add a little pop and made a bow. YES! I did do it 3 times. For the last Sign Language Birthday Cards Project card, I also wrapped twine around it but instead of tying a bow, I tied a knot. Still not enough pop for you? 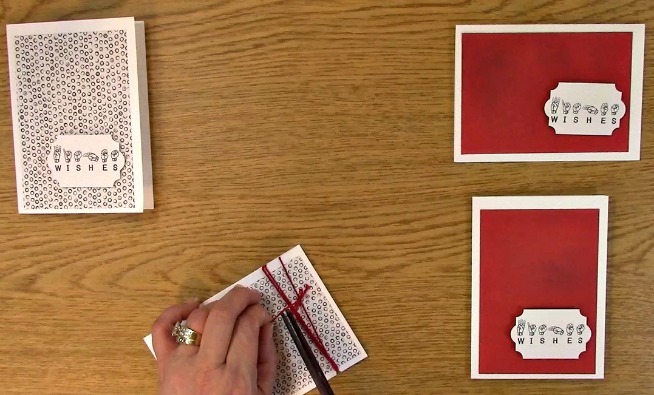 Put on a few rhinestones to give a little sparkle to your card. 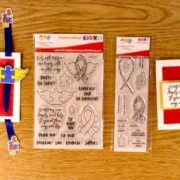 For this weeks giveaway, we are giving away the A Creative Journey with Melissa Sign Language Sentiments stamp set! Definitely one of the stamp sets in my tool box. 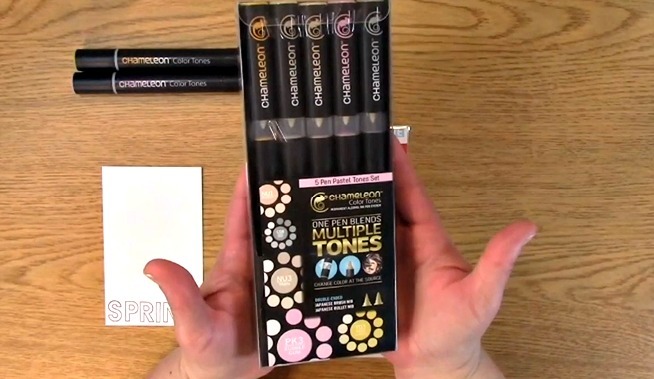 For last weeks giveaway, we are giving away the Chameleon Pastel pen set and they are great for coloring! The winner for our last blog post giveaway is Michele H.
Please be sure that you send me a message letting me know which post you won on and your contact info and I can get your prizes out to you! Winners, please send me an message HERE and I will get your prize out to you! For all of our giveaways including this one, in order for you to qualify for an entry to win, you would need to be a follower on YouTube, subscribe to our mailing list/blog posts (found on our blog page) and you may also comment on this blog post for an additional entry to win! When you subscribe, you will receive an e-mail on Mondays with our latest blog post. BE SURE TO READ IT to check to see if you are a winner EVERY WEEK. If you do not contact me within two weeks of the announcement of winning, you will forfeit your prize. NO EXCEPTIONS. Thank you for your understanding. NOTE: If you are subscribed with two different names and I am unable to match you with your subscription to the blog and the YouTube Channel, you will be ineligible to win as I can’t decipher if you are a matching subscriber to both. Thank you for your understanding. We hope you will subscribe to our YouTube Channel, Blog/Newsletter updates and check out our website! 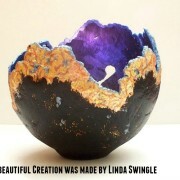 As always, we appreciate your visit and we hope you enjoyed going on A Creative Journey with Melissa. 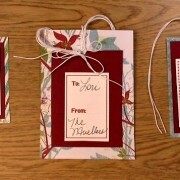 Free Printables-Fast Gift Tags on a Budget!